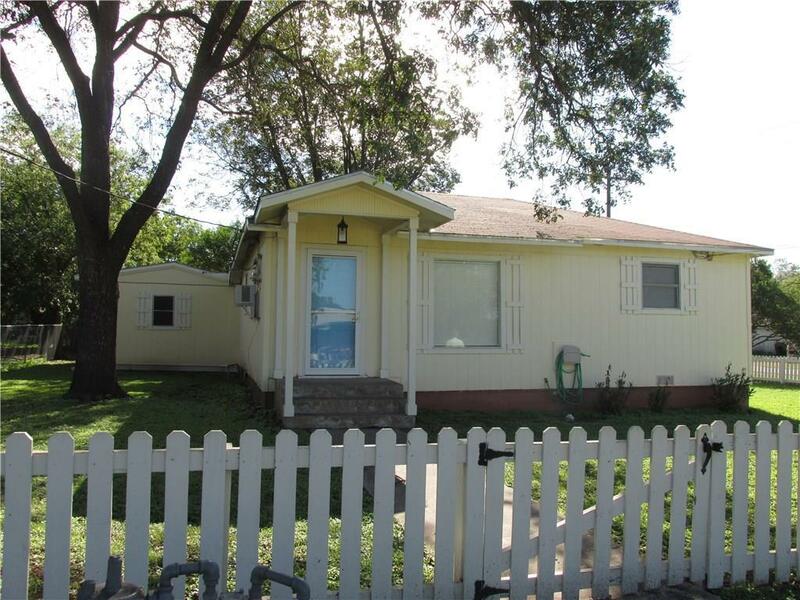 CUTE, CUTE HOME----in very GOOD shape!Open the GATE, Come On In!This 3 bedroom 1 bath home is newly painted on the in side...nice sized living room with 2 bedrooms off of it. The bath has been totally remodeled. Everything is sooo clean and has beautiful wood floors in this part of the house. The kitchen or dining area has been updated with white cabinetry, new floors, and stove.Walking thru the kitchen takes you to the large utility room and into an in-home office or library or whatever suits your family. Off of this area is a spacious master bedroom and closet.Home has a covered patio, carport and storage...comes with the lot directly behind house. GREAT garden area...PERFECT.